Fort Worth, Texas - January 15, 2018 /MarketersMedia/ — Fewer than 25 percent of Baby Boomers are confident in their retirement preparedness according to the latest reports from the financial sector. While federal employees' benefits are designed to help bridge the gap in their financial futures, those in this field are reporting equal unease as lifespans increase and the cost of living follows suit. This comes as no surprise to Gary Aiello, co-owner of MyFEDBenefits, who has launched the federal employee service and support provider's retirement quiz. "Our team offers decades of experience in providing career and benefits consultations to federal employees," said Aiello, "and we've seen a steady decline in certainty over the future where finances are concerned. The complexities of federal benefits can be particularly difficult to understand, but we're here to clear up the confusion. Our quiz is designed to help federal employees see where they are in the retirement planning process and encourage them to start preparing for the future as early as possible." MyFEDBenefits' quiz, which federal employees can see at MyFEDBenefitshelp.com, provides an interactive experience for those looking to test their retirement readiness. Participants are guided through a series of relevant questions geared toward providing a baseline regarding their current preparedness levels. Questions revolve around knowledge of how to use their military time, number of credible service years they have, whether or not they have prepared their interim-pay periods, their current Thrift Savings Plan account balances and other pertinent aspects. Upon completion of the quiz, participants receive a PDF via email outlining necessary steps to follow for successful retirement based on their responses to quiz inquiries. They likewise receive information regarding ways in which MyFEDBenefits can help foster their retirement planning efforts. Free consultations with federal benefits specialists are additionally offered. Concluded Aiello, "Planning for the future is more difficult than ever, and federal employees are faced with a particularly complex challenge in determining just how to get the most out of the benefits available to them. Our primary goals are help them take advantage of the great aspects of their unique benefits packages throughout their careers, aid them in identifying potentially expensive mistakes and avoiding wasting money on benefits they don’t need, and assist them in reaching retirement with the standard and lifestyle they've earned and deserve. We encourage those interested to take the quiz and follow up with our team to learn more." 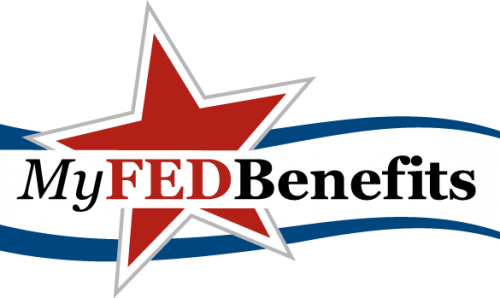 As a team of federal career and benefits specialists, MyFEDBenefits strives to help federal employees prepare for the future and make the most of the benefits available to them.